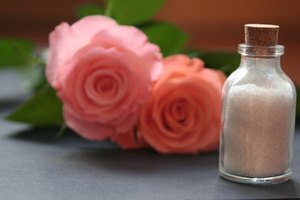 Epsom salt is used in a variety of ways, as a beauty aid, a laxative and even in the garden. Its healing benefits were touted by the grandparents of previous generations. 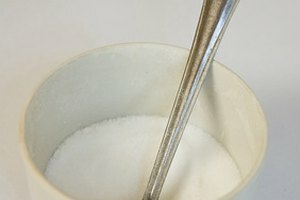 Epsom salt is magnesium sulfate and resembles table salt in appearance. Yet, table salt comes from sodium chloride, which is a different substance. Used in the garden, Epsom salt can invigorate the overall health of plants. When used in a beauty regime, it can be included in conditioner to add body to hair. The Epsom salt bath is one of the most recognized uses of the mineral. 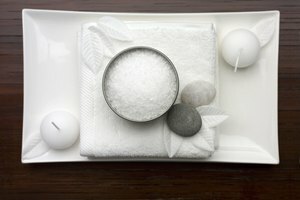 Soaking in an Epsom salt bath is an old home remedy, prescribed to ease sore muscles and to fade bruises. A body’s magnesium level can be replenished as the mineral soaks into the skin. This may help relieve stress by raising the level of serotonin and lowering the affects of adrenaline. According to the Epsom Salt Council, research shows magnesium can enhance stamina and energy. 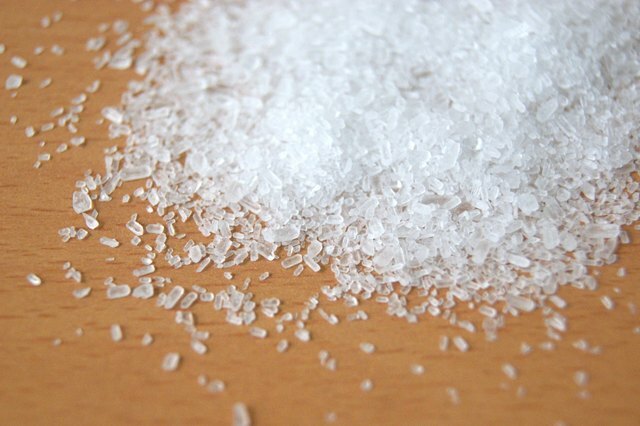 Epsom salt rinses off skin easily, leaving the skin feeling soft. To prepare for a soak in an average-sized bathtub, add 2 cups of Epsom salt to warm bath water. If the tub is oversized, double the amount of Epsom salt. 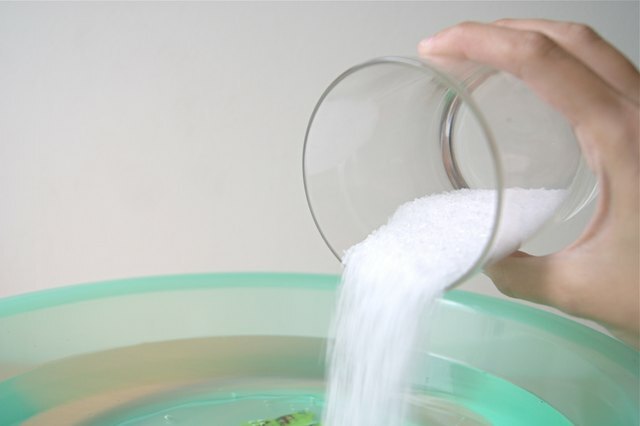 The Epsom Salt Council advises soaking in an Epsom salt bath for at least 12 minutes. An article of the American College of Healthcare Sciences, however, recommends soaking for only 10 minutes, and states that toxins your body has eliminated during the soak will be reabsorbed after 10 minutes. Epsom salt baths may be taken up to three times a week, according to the Epsom Salt Council.